Seacourt Nature Park is a small nature reserve next to Seacourt stream in West Oxford popular with local dog-walkers, and providing a hidden green-space in the surrounding developed land. It's kept from development as flood plain for Seacourt stream and is managed by Oxford City Council as a grassland habitat. There is no grazing except for the very large number of rabbits. OCV have worked here for the last few years, most of that work has been focussed on controlling the poisonous ragwort and preserving the grassland by preventing the growth of trees samplings and scrub. This small strip of land in the city remains undeveloped because of its status as flood plain for Seacourt stream. The site is nearly flat with open grassland surrounded by trees on the east and small scrub on the west. Botley Road provides the boundary to the north. The pasture to the South is not part of the reserve but is maintained in the traditional way, with mowing once a year and grazing. Although there are no particularly rare flowers on the grassland, there is a great abundance of common British species within a very small area. These include birdsfoot trefoil, yellow rattle, ox-eye daisy, dog rose, meadow buttercup, lesser celandine, great barnet, red clover, common crown vetch and welted thistle. There are also a variety of trees and scrub growing around the grassland including ash and blackthorn, providing additional habitats. 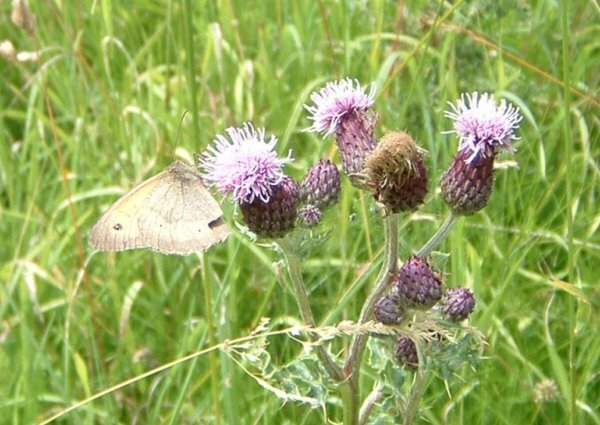 Butterflies, such as the common blue, and a variety of species of bees feed from the flora at the site, whilst an assortment of dragonflies, damselflies and kingfishers can also be regularly seen due to the nearby water. Under the Weeds Act 1959, neighbouring landowners have a right to require that the poisonous ragwort is controlled because seeds could be blown onto their land by the wind. Since mowing with machinery would damage the flowers and ant hills on the grassland at Seacourt Nature Park, the only option is to pull the ragwort by hand. Over time this erodes the seed bank in the ground and it is hoped that the ragwort will become less of a problem. The ragwort must be removed from the site to prevent it becoming an even more serious threat to livestock as it dries out. 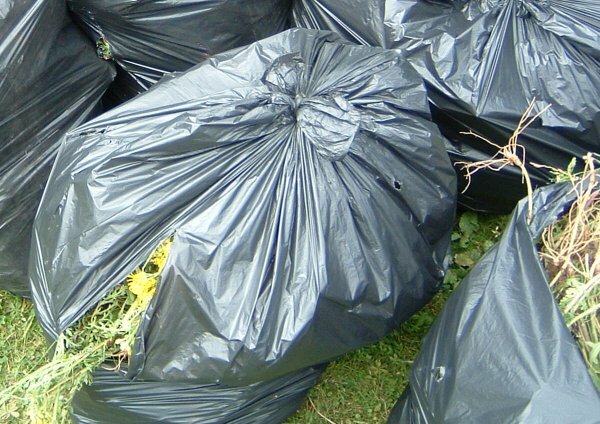 Ragwort removal is a long-term process however, since the ragwort seeds may last up to 30 years. The area is too small to be worth using for grazing, and in any case, it provides a useful facility to local dog-walkers which would not be possible if it was grazed by livestock. Without mowing or grazing, any tree seedlings which spring up within the grassland must also be removed by hand, though these can be left on site. Another conservation management technique that OCV carry out on the site is hedge-laying and planting. By laying a hedge a strong, natural boundary is created that protects land from grazing animals in neighbouring fields. Hedge-laying also create a thick hedge that provides greater habitat and shelter for a variety of species of flora, invertebrates and birds. Gaps in the hedge are in-filled by planting new saplings that will be incorporated into the hedge. 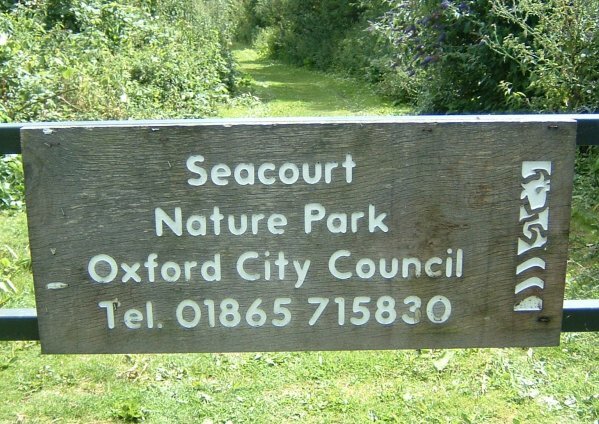 Seacourt Nature Park is just off Botley Road in West Oxford. Coming from the centre of the town, pass trading estates on the left and right, and a garage on the right. The entrance to Seacourt Nature Park is a clearly marked gate on the left, opposite Seacourt park and ride, just before the stream. If you get to the traffic lights you've come slightly too far. Note that parking in the Oxford Park and Ride car park is currently free. If you park in the Seacourt park and ride, cross Botely road and turn right. Along this road you will soon see the entrance to Seacourt Nature Reserve on your left.